Here's the lowdown on the average trip to Europe cost for hotels, flights, food, and more. *Plus* our best budget-friendly tips & which countries are the cheapest! The average trip to Europe﻿ cost for flights from the U.S. is around $600 roundtrip. 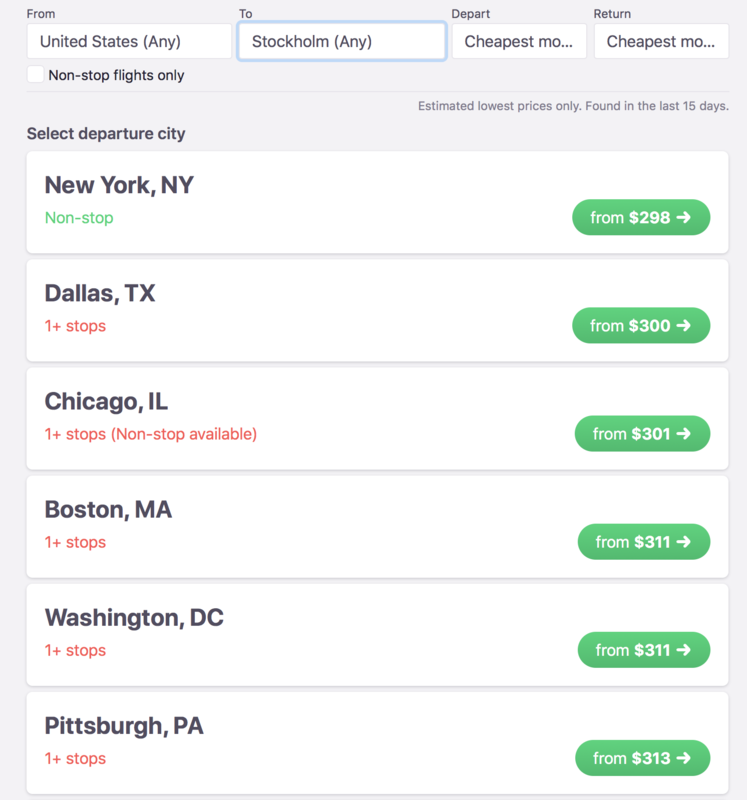 Flights tend to be cheaper from major hubs (San Francisco, Chicago, New York, Boston.) Despite being further, the West Coast is rarely more expensive than the East – thanks in part to new Budget Airline routes between the West Coast and Europe on airlines like Norwegian and WOW air. Flight Hack Tip 💰 : Summer is always the most expensive time to travel to Europe. Try traveling from the U.S. to Europe in April/May or September/October when flights (and hotels!) are significantly cheaper than June-August, and temperatures are still enjoyable on most of the continent. Flight prices fluctuate frequently between the U.S. and Europe. The best way to score a good deal is to set a Price Alert on Skyscanner to get notified when the flight cost drops to your favorite European destinations. Flights to Dublin can be found for under $200 roundtrip! Which countries in Europe are the cheapest to visit? A good rule of thumb? The cost to travel to Europe’s most popular countries decreases as you go from North to South. Lesser expensive countries include Poland, Portugal, Spain, and most of The Balkans. Albania, Bosnia and Herzegovina, Macedonia, and Bulgaria are particularly inexpensive. *Slovenia, Croatia, and Montenegro are significantly more expensive than the rest of the Balkans. *These estimates are based on the average costs for food/accommodations/activities/transportation in the areas that tourists typically visit. Countries like Croatia, Greece, and Italy are much more affordable when you venture off the beaten track. For example, travel costs in Italy can vary greatly. The popular cities, (you know- Rome, Venice, Amalfi, etc.) can be extremely expensive for accommodation and food. Meanwhile, places like Calabria and Sicily offer some of the best value-for-money in Europe. The countries in Scandinavia (Norway, Sweden, Finland, Denmark), France, Switzerland, the UK, The Netherlands, and Ireland are among the most expensive places to visit in Europe. Costs for food, entertainment, transportation, and accommodation are significantly higher than the averages. But! ﻿The major cities in these countries are among the cheapest places in Europe to fly to from the United States. Try searching ‘Everywhere’ to see the cheapest countries to fly to from your home airport. It’s much easier to justify a $15 beer in Stockholm or a $100 meal in Copenhagen when your flight cost next-to-nothing! Accommodation is a huge chunk of the budget when figuring out any trip to Europe cost. In the cheaper countries, you’ll always be able to find a nice hotel for $40/night. During peak months in the more expensive countries, you’ll find very little for under $150/night. *Costs are averages across Europe as of August 2018. The cheapest countries will see average accommodation costs on the far low end of these ranges, while the most expensive will hover around the high end. Europe is known for its budget airlines and flights between countries can be found for mind-blowingly cheap. If you’re looking to travel from London, Paris, or any major European city to another country, try using the ‘Everywhere’ Search on Skyscanner. You’ll almost always find flights to at least 15 different countries for under $50 one-way! Ryanair, Wizz Air, and Easy Jet are popular options, but there are over 20 different budget airlines that run different regional routes. Make sure to double-check baggage allowances– even carry-ons aren’t necessarily free! Budget Airlines Flights between European countries (and many neighboring African/Middle Eastern countries) are typically between $30-$100 dollars. In Europe’s cheapest countries, you’ll find yourself holding a check for $10 after a three-course meal and a carafe of wine. In the most expensive countries? You might be able to get a crepe in France for a bowl of fish soup in Helsinki for around the same price. Needless to say, food prices are some of the greatest variances in a trip to Europe cost. On average, expect to spend between $5-$10 per meal in the cheaper countries and $15-$30 in the more expensive countries.